Just a quick post (for once). My sister Ahmis and her friend Verdell are in vacationing in Puerto Vallarta, coinciding with our trip visit to Banderas Bay. After a days delay in plans because of some winds with a velocity exceeded my threshold for relaxing sailing, we met up yesterday to just go sailing. A quick trip in the dinghy brought everyone aboard, and up came the anchor for the first time this year, as we dropped it on Christmas eve. For the first time since we bought Ventured we went sailing without a destination and a time constraint. 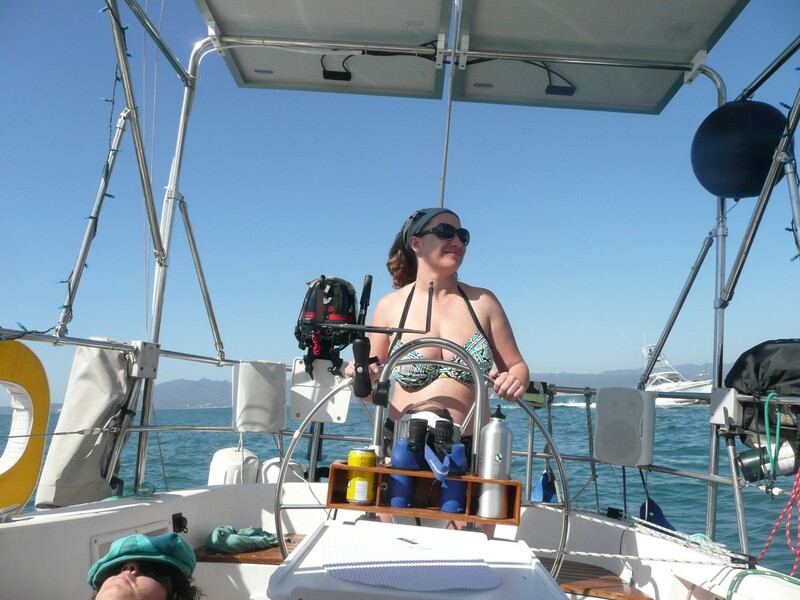 Once the sails were hoisted, we trimmed for a nice reach in some light wind, and just sailed to the wind, easing our way slowly towards Puerto Vallarta in a nice relaxing sail. After a couple hours we turned around, and headed back, meanwhile firing up stove for some very tasty hamburgers to fill us up after our guacamole appetizer. The sun was out, the wind varied a bit, enough to keep us moving at the least, and at times picking up enough to scoot along. Since for once we didn’t have a GPS on, we were never actually knew how fast we were going. This was kind of a pleasant change of pace from out typical speed watch, trying to maintain an average speed that would get us to a destination at a planned time. All in all it was a great way to spend a day, sun, family, friends and some relaxing sailing just for the pure joy of it. A lot of us cruisers love to sail, but after a few months of sailing as a means to an end – getting to the next port – it was great to just sail for the fun of it. Hopefully we’ll get a chance to do some more sailing while we are here that doesn’t involve any goal other than enjoying the experience of sailing. Our crew for the day - notice the relaxation? 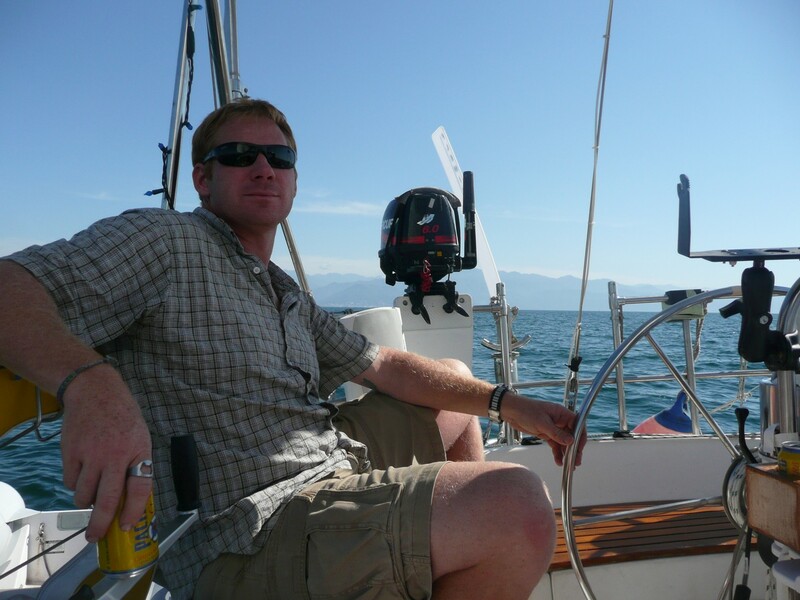 This entry was posted in Uncategorized and tagged banderas bay, puerto vallarta, sailing by Erlin. Bookmark the permalink. Hey Russ – Glad to hear you enjoyed catching up. We are indeed having a great time here, and while we are enjoying Banderas Bay we are already considering the next destinations. So much to see and do (and write about)!